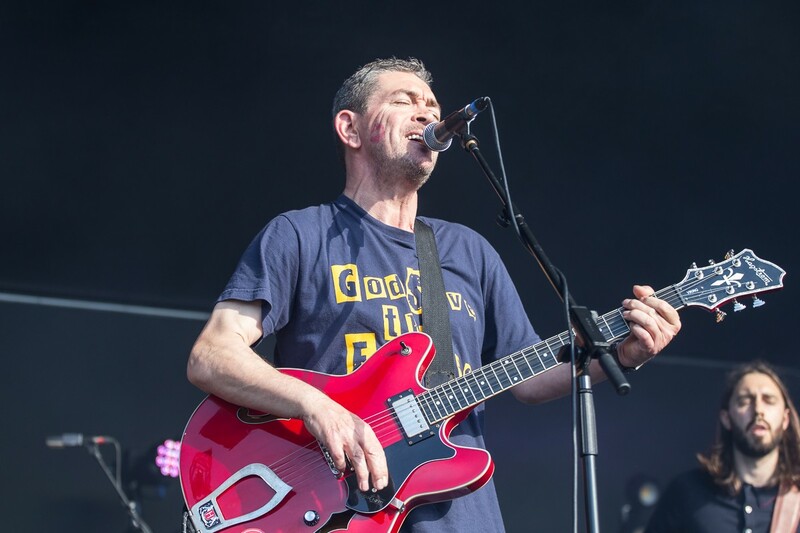 After a long and pained 11 year hiatus, Michael Head has delivered the album that at one point, nobody who knew him or his work ever believed they’d see. Head himself certainly never believed it would, or even could happen, until he found himself preparing to go back in the studio. The story’s been well told, time and again. The decades of mistakes, bad decisions and missed chances. The wasted opportunities and brutal self destruction that comes with years of heroin addiction and alcoholism. Deep and treacherous waters have been his familiar charter for far too long, and the general belief was that there could be no way back, no return for someone once referred to by the NME as ‘our greatest songwriter’. Those tales surround every mention of Michael Head and his work, and while its always necessary to paint the background to the man, there’s a belief that in their reiteration, the music can get lost, clouded in some way by its own enigma, its own back story. In discussing Adios Señor Pussycat, however, the back story has never been so important. This is a record of redemption and rebirth. New beginnings and new life. This is the sound of recovery. Though it can only begin from within, from the addict themselves, recovery from any addiction takes honesty, often brutally painful honesty on all sides, as well as the constant unfailing support of others. Michael Head’s new album finds him sharing his recovery in open and honest terms, and could have only happened with the support of the network of people he has gathered close to him. As with his label Violette Records, The Red Elastic Band, a diverse, fluid and open set up of old friends, family and fans, offers him the opportunity to form ideas away from the more formalised, established lineups of old. Collaboration and cooperation become the bedrock for the songs to develop, as well as providing another layer of that all essential support. It’s a brave record, purely because of that honesty and it’s clear there’s some pained moments in there for Head himself, some real out of the comfort zone moments. These are undeniably positive times for him. It’s important not to see Adios Señor Pussycat as a destination, though. It’s another marker on the road back home, another mile achieved, another huge step forward and once more into the light. Picasso, the opening track, with Head’s voice deep, cracked and close in the mix, almost talks the story through warm cellos, the characteristically folk picked rhythm of his guitar, layers of saxophone and spaghetti western flavoured guitar motifs. This could well be the tale of the arrest he’s alluded to in recent interviews, and he pictures himself going back to Paris, his ‘second home’. Built round a circular three note riff, Overjoyed features banks of guitars, including chiming 12-string guitar cascading notes pouring down throughout and with each listen another guitar comes to the fore. The full sounding chorus, harmonies and blistered guitars give it an almost festive feel. ‘You said we talked of wine, wine I require, to rid of myself, to send myself away’ Head sings as the opening phrase of Picklock. ‘You said wine gave me nothing. No knowledge, comfort or wit. But trust me this conversation could honestly drive me to it’. Together with the wash of guitar work, the whole song is warmed by the evocative richness of a string section high in the mix. Winter Turns To Spring. A song of rebirth, new life. He’s seeking peace of mind. It’s a song of moving forward, a simple beauty held in its construction. With just Head’s vocal accompanied by piano, it’s perfectly balanced. The peace of mind he seeks throughout the song finally delivered towards the end ‘Its time to hit the door, no more shadows on the wall, thanks for being honest with me, i’ve got peace of mind. I’ve got peace of mind.’ A real jewel of a song. Workin’ Family could easily have come from the sessions of the first Shack album, Zilch. It’s reminiscent of that album’s Someone’s Knocking. Of the stresses of everyday family life, and the characters to be found in every street. It’s all guitars with the effervescent 12 string picking of Steve Powell being a true highlight. 4&4 Still Makes 8 goes for an altogether softer approach. Head’s vocal is sweetened by the lyric and it;s a yearning piece, a lilting folk ballad separated into two halves by a twisted, snarling feedback-laden guitar solo. It could be a person singing to another in the darkness. It could just as easily be a substance, teasing and taunting its victim. The demon on the shoulder, perhaps. The Queen Of All Saints is a reflective lyric, looking back on lost friends, a teacher, another friend, a mincing queen in a blue velvet gown and fur coat, walking through the town.There’s a simple structure of piano, drum and sparkling guitar line, leaving plenty of room for the story. Just a normal psychedelic tale of kissing a teacher. Her name was Roisina. And he kissed Miss. Josephine was eagerly greeted on its release as a single earlier in the year. Featuring layer on layer of strings and backing vocals, backed by Tom Powell’s melodic bass tones and Phil Murphy’s light shuffling Jazz drumming. A big chorus, almost medieval in its melody and rhythmic changes. Unmistakable. Lavender Way looks back sweetly and respectfully to HMS Fable Shack:a tale of travel, more forward movement, with Head expressing himself in classic windswept English romanticism in the lyric. Shimmering, echoed guitars fold in and out of each other with Dan Rogers’ ebow adding to the filmic quality of the arrangement. There are several references to The Byrds on this album and throughout Michael Head’s work, here found mainly in Steve Powell’s electric 12 string. The Los Angeles band famously recorded this traditional folk song. The version here pays a closer nod to the song’s heritage, with Head’s sister Joanne joining him on the melody, adding a certain lightness of touch to the sound. What’s The Difference sees the Mariachi brass sound of Martin Smith and ex Pale Fountain Andy Diagram, as well as Simon James join the fold. There’s an eclectic mix of influences stretched through time signatures with intriguing changes, leaping from skiffle to folk and back, and more close harmonies. Built round a super strength chorus, the album’s closer Adios Amigo bids a fond farewell in so many ways. Sparkling guitars, an offbeat cycle on the drums, the sweeping builds and falls of the string section, and a classic pop chorus of choral backing vocals make it the perfect ending. Michael Head knows well the power of setting himself free. Possibly for the first time in his 35 plus year career, he’s able to see how well appreciated he is, to see the effect his songwriting and storytelling has on others and why they support him as they do. At 56 years old, he has another beginning to enjoy and he’s in the best place he’s ever been to enjoy it. Its all there. On the cover. Caught in a moment on camera. 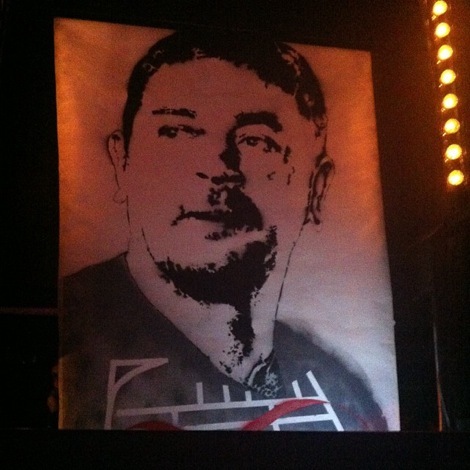 Michael Head is looking upward, smilling and facing the sun. For many people, this writer included, that says it all.